Drug addiction, or substance dependence, is physiological dependence on a street drug or a medication. Drug addiction is primary a neurobiological disease characterized by behavior that includes lack of control over drug use, compulsive use of drugs, continued use despite harmful effects, and craving for more drugs. Physical dependence on drug manifests in withdrawal syndrome that occurs on rapid dose reduction or decrease of the level of drug. At the same time, the body physically adapts to drug, and develops tolerance to the substance. This means that the greater amounts of drug are required over time to achieve the effect the body craves for. In most cases, people are becoming addicted to drugs very easily, even if they start to use drugs only casually. This is a serious problem that causes many long-term consequences and affects many different areas of life, including job, relationships, social status, law, and mental health. Therefore, treatment for drug addiction involves a complex approach and for most people it still includes possible relapses, even after a long period of time. As any other chronic illness, drug addiction requires continued treatments to increase the intervals between relapses and lessen their intensity. There are many successful treatment options available for people suffering from drug addiction. Treatments often include self-help groups, organized treatment programs and counseling. In most cases, a first step of the treatment is detoxification, which is aimed to help the patient stop taking the addicting drug quickly and safely. Detoxification is also known as the withdrawal therapy. 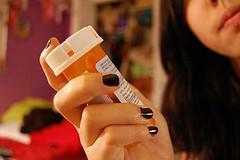 Withdrawal therapy is often administered by various medications. It is not aimed to treat the addiction but to help begin with a long-term treatment. The exact type of medications used in this process depends on the severity and manifestations of patient’s addiction. Some detox centers even provide treatment that does not include medications. Counseling is also shown very effective in treatment of drug addiction. It includes individual or family counseling often with a psychologist, psychiatrist or addiction counselor. Counseling sessions may also, help the patient develop positive methods to cope with drug cravings and prevent severe relapses. Another great advantage of counseling, over other treatment methods, is that it sometimes addresses the root of a problem, and encourages the patient to talk about problems. Self-help groups are also popular in treatment of drug addiction. Most of them are based on the 12-step model, borrowed from Alcoholics Anonymous. Attending self-help group meetings can dramatically decrease the risk of relapses.